Up until 2008, only one spacecraft had ever visited the planet Mercury, and it didn't linger long. NASA's Mariner 10 mission flew past the tiny world three times in the 1970s, giving humanity a helpful but limited glimpse of the solar system's innermost planet. Mariner 10 imaged about 45 percent of Mercury's surface and discovered its internal magnetic field, among other things. Decades passed with Mercury exploration on pause, until the launch of the MESSENGER (MErcury Surface, Space ENvironment, GEochemistry, and Ranging) mission in 2004. Orbiting Mercury more than 4,000 times, the MESSENGER spacecraft gave scientists the first—and so far, only—global picture of Mercury. It revealed strange surface features, exposed clues about its geological history, mapped a magnetic field unlike anything we'd seen before, and made countless other discoveries. After orbiting Mercury for more than four years, the spacecraft ran out of gas; without propellant, its closest approach distance sank lower and lower until the probe finally crashed into the planet's surface on April 30, 2015. Now, after pouring through the massive amounts of data that the spacecraft returned, some of MESSENGER's top scientists have published a book detailing the mission's major lessons. 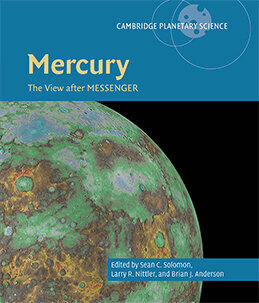 Titled Mercury: The View After MESSENGER, the book is co-edited by Sean Solomon, who led the mission and is now director of the Lamont-Doherty Earth Observatory within Columbia's Earth Institute. In the interview below, Solomon shares some of the key findings discussed in the book, why they matter for us Earthlings, and how the MESSENGER data will inform a new mission that's already on its way to Mercury.